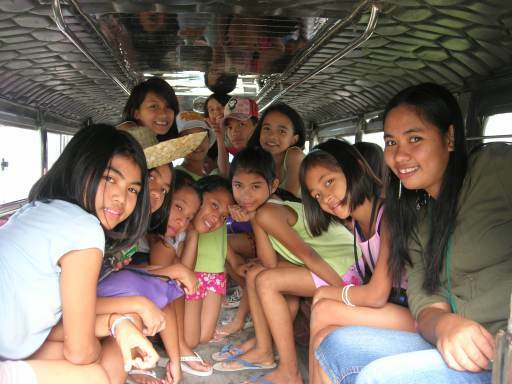 A small charity based in Manila and Camberley, ASCT has provided support since 1975 to hundreds of the poorest, and deprived children in the Philippines. Many of these children are from families living on rubbish dumps scavenging a living. ASCT currently have almost 300 children in their care most of whom have been abused, abandoned or neglected. ASCT is a Christian based charity, but like all other charities that BWCF supports, its work involves children of all faiths, and none. ASCT runs a residential home for children, a school for about 200 4-6 year olds, and also run a scheme to educate children who live in very poor conditions. The Director in Manila is an English ex-volunteer to the operation. A major challenge in recent times has been the selling of the old children’s home and moving all the children and staff over 50 miles to new, bigger, better, healthier premises with more space to play and grow vegetables. The new home is next to an excellent school run by a Dutch charity where many of the ASCT attend. The new ASCT home has already been put through a severe test in withstanding the onslaught of Typhoon Ondoy, a particularly violent storm, where it quickly became the emergency and rescue centre for hundreds of local people who had lost family members as well as their homes. ASCT’s income is primarily from the UK and is drawn from private individuals, churches, schools and local events in the Camberley area whereas donations in Manila are often in kind. ASCT longer-term plans include the development of their Philippines-based fund raising activities to become less reliant on funds from the UK. In 2010 the BWCF was very pleased to support ASCT with a three-year grant to help the development of all of their activities in Manila.